Culling of poultry birds is under way in parts of Bihar two days after reports of large-scale death of hens, crows and other birds led to panic among people about bird flu, triggering a drastic decline in chicken consumption, officials said on Saturday. Officials of the state’s animal and fisheries resource department said culling of 15,000 poultry birds was on in Mubarak Chak village in Jamalpur block in Munger district. The culling began following test reports from Bhopal-based National Institute of High Security Animal Disease (NIHSAD) confirming that bird flu or H5N1 caused the birds’ death in the village. “More than 2,000 birds were culled in the last two days as a part of measures to contain bird flu that had already spread in two blocks of Munger district,” said Shrawan Kumar, animal husbandary officer. 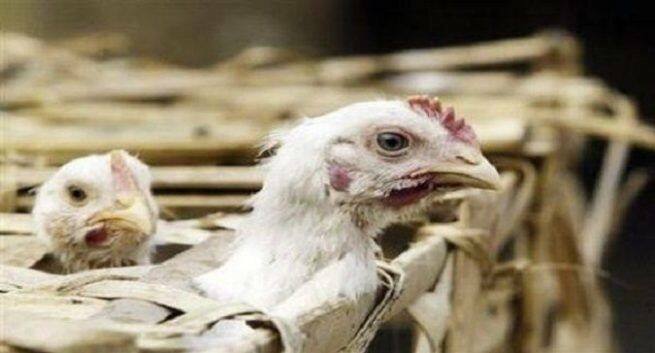 Nearly 3,000 hens have died in the last one week at Andhra Chowki village under Vikram block, about 20 km from Patna. Similarly, two dozen crows and equal number of hens were found dead in an orchard in Masaurih block in Patna district and in Sherghati in Gaya district, respectively. Deaths of birds have also been reported from Bhagalpur and Nawada districts in the last one week. “Hundreds of hens have died at a poultry farm in a village in Vikram block in the last few days. A team of animal husbandry doctors has visited the site and collected the samples,” said animal husbandry director Vinod Singh Gunjiyal. Dr Parambidh Kumar of the team that visited the village said samples had been sent to a lab in Kolkata. “Whether the birds died due to bird flu or cold is not clear”. He said all dead hens were buried. Gunjiyal said teams of experts from Bengaluru-based National Institute of Veterinary Epidemiology Disease Informatics, Kolkatta-based Regional Disease Diagnostic Laboratory and Bhopal-based National Institute of High Security Animal Diseases (NIHSAD) have arrived to study and suggest measures to contain the bird flu spread. The first case of suspected bird flu was reported on December 3 from Gorho village in Asarganj block in Munger. Vijayalakshmi, secretary animal and fisheries resources department, said the government has initiated various measures, including culling of poultry birds, to contain the flu. “We are alert,” she said. Previous Post:What Were the Biggest Health Stories of 2018?